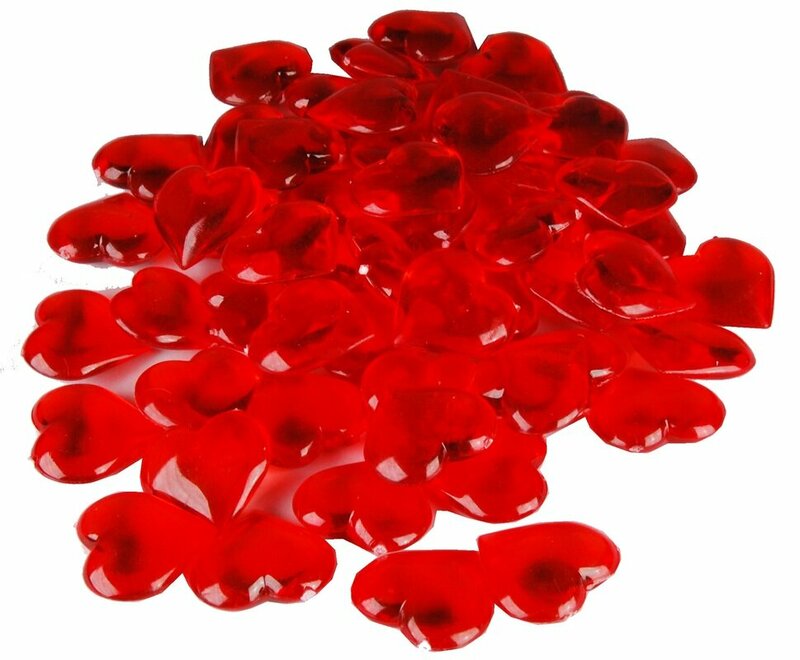 Hello there, and Happy Valentines Day!! I can’t believe its been a month since I last posted! 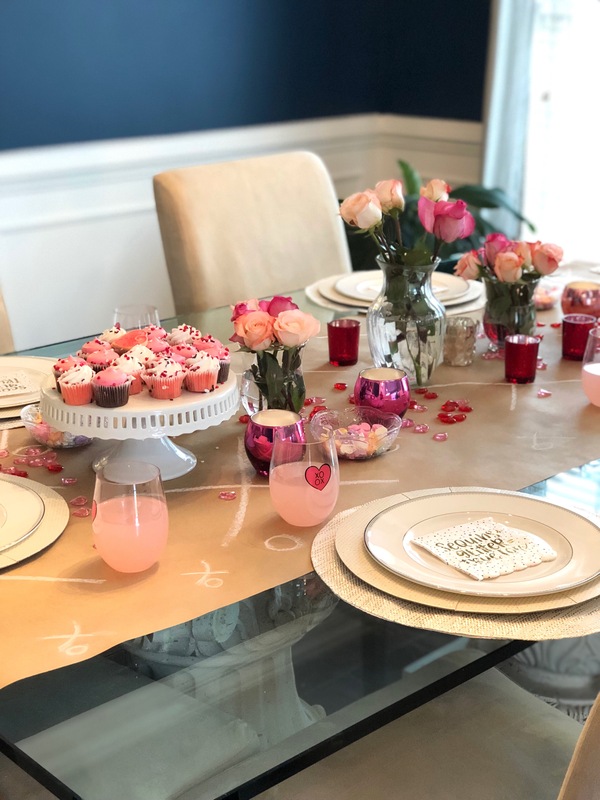 Life has been busy with school and kids, but I’m back and bringing you some inspiration for a quick and easy valentines day celebration! 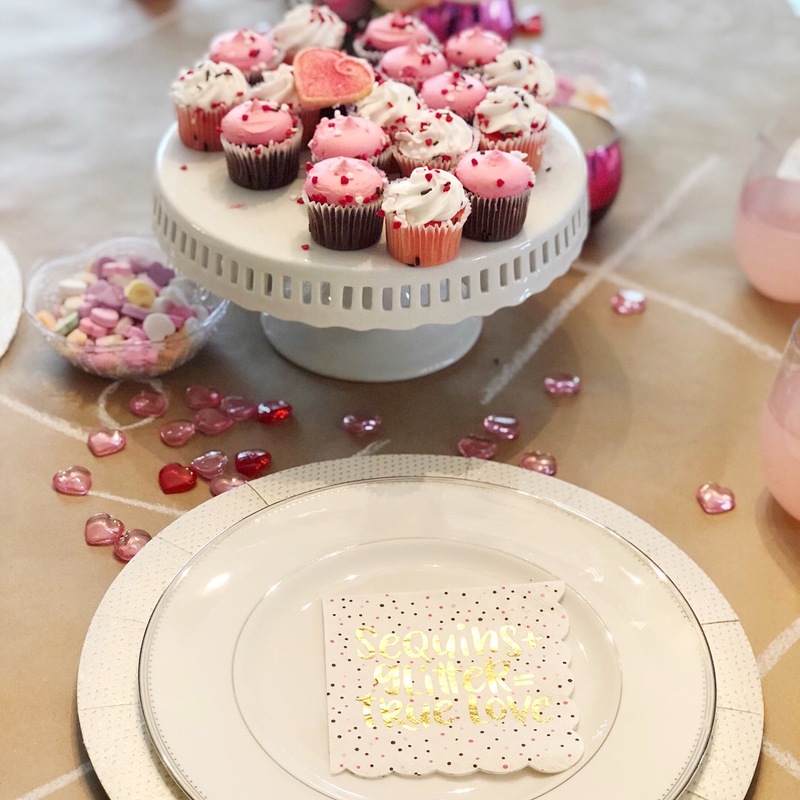 I teamed up with Wayfair again for their Valentines day blogger campaign and this past weekend I hosted a valentines day painting play date for my daughter, and today I set up an on the go breakfast for my little valentines! 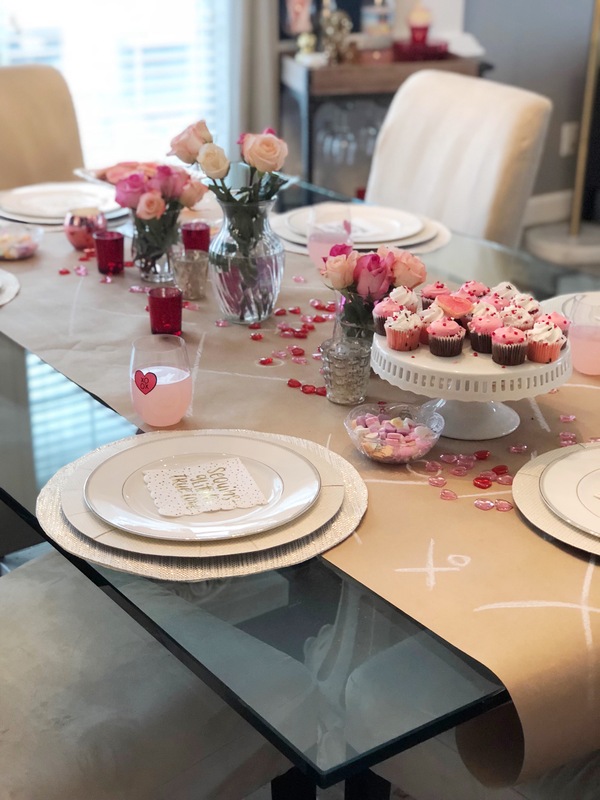 My daughters play date was so much fun and it was easy to host, I made the runner out of brown craft paper and wrote Xo’s all over with chalk. I wish I could say I made the cupcakes and cookies, but I totally took a shortcut and have to thank Wegmans for them! 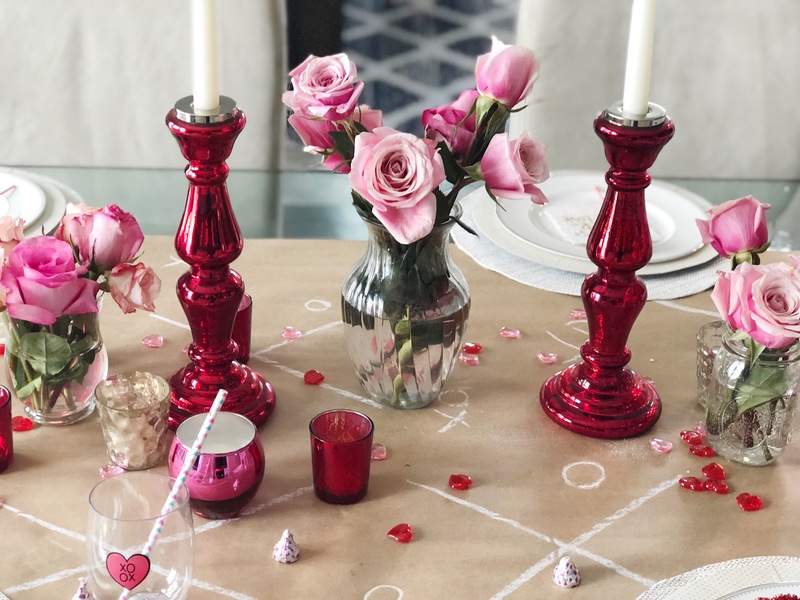 The heart shaped gemstone , the votives and the vase are from Wayfair. 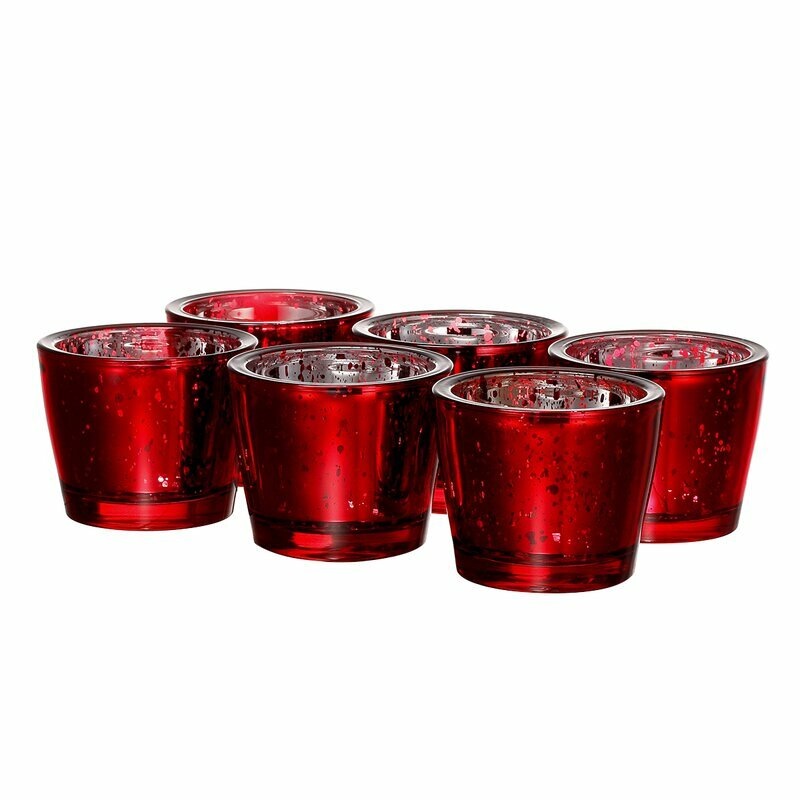 I also found these adorable plastic cups from the target dollar section! 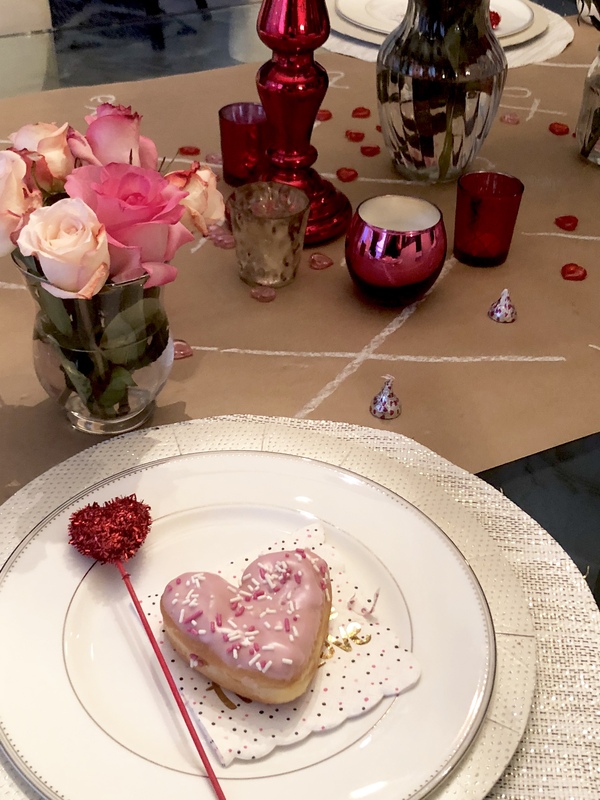 For today, I added more roses and more candle holders to surprise the kids with a quick breakfast of heart shaped Donuts, because what more says Happy valentines day than sugar first thing in the morning right ? 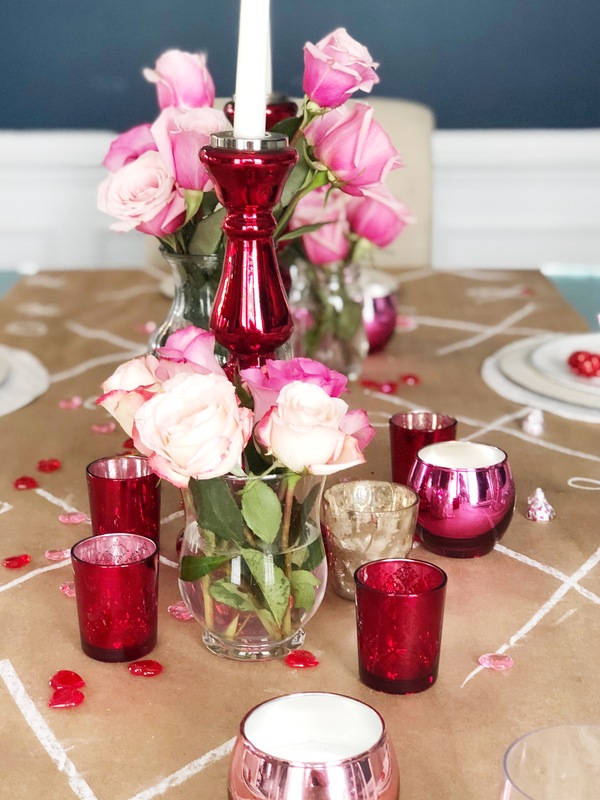 It’s always fun to decorate for this holiday, the pinks and red are always so pretty together! 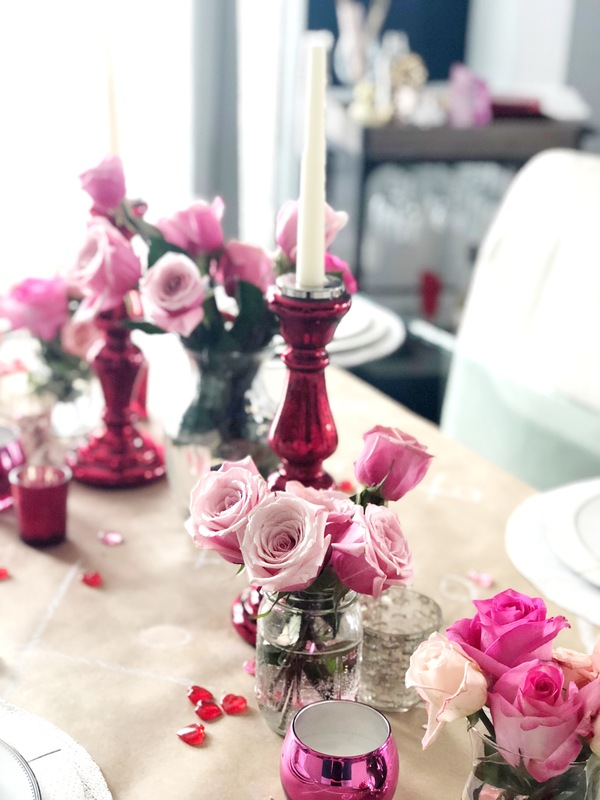 what are your usual plans for Valentines Day? !